Sound Telecom is a virtual receptionist and answering service provider for small businesses and entrepreneurs. It enables users to hire virtual receptionists to screen and transfer calls, forward phone messages, and schedule appointments. As of the date this article was written (09/06/2018), there are no up-to-date user reviews of Sound Telecom online. If you are a past or current Sound Telecom customer, leave a review to help other small business owners who are deciding whether or not to use their services. 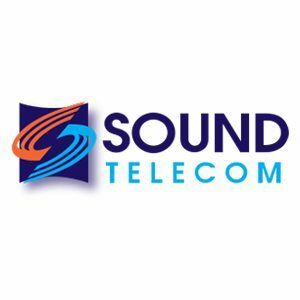 Sound Telecom does not publish its pricing on its website, but similar providers have monthly fees that range from $15 to $1,269, depending on the features included. Interested users may request for pricing information by contacting Sound Telecom’s customer service team. Will users be given a toll-free number if they subscribe to Sound Telecom’s services? Yes. Sound Telecom’s services include the provision of a toll-free number. They can even provide a local number, depending on the user’s preference. Can users request for a backup copy of their phone messages? Yes. Sound Telecom can send a backup of messages that they receive either through fax, email, or postal mail. Can Sound Telecom record calls? Yes. Sound Telecom can record incoming calls with its web-enhanced Voice Logger tool. Users can also listen to recorded calls through Sound Telecom’s online web portal. This video provides a quick background on Sound Telecom’s features and services. Not sure if Sound Telecom is the right fit for you? Read our reviews of all top answering service providers or check out one of these three Sound Telecom competitors.